The installation, His Royal Discography, appeared in After Pop Life at San Francisco’s Minnesota Street Projects. This group exhibition, celebrating the life of Prince, was curated by Glen Helfand. His Royal Discography consists of a constellation of tambourines, each with the title and date of a Prince album. 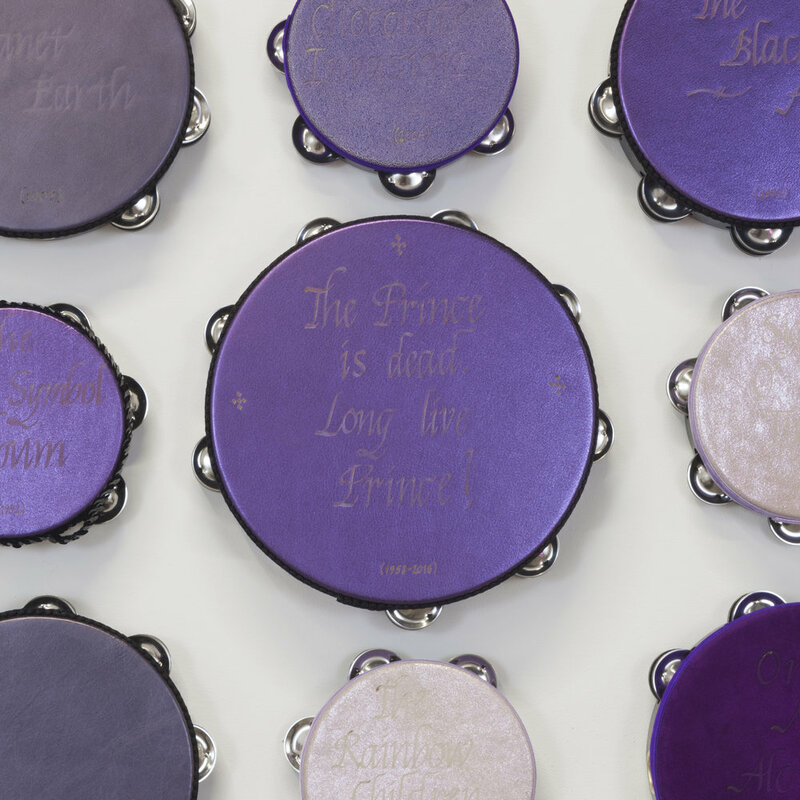 The center tambourine bears the dedication: The Prince is dead; long live Prince!